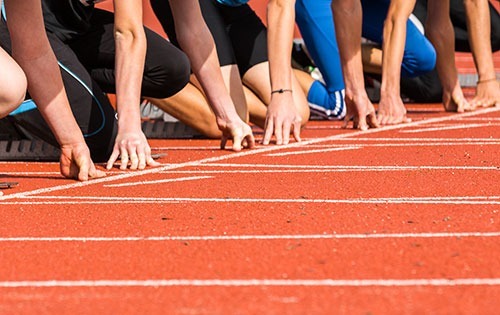 USADA announced today that Jonathan Sanford of Conyers, Ga. an athlete in the sport of track and field, has accepted a one-year sanction for his anti-doping rule violations while a member of the Thinking Feet Track Club. In 2016, USADA obtained non-analytical evidence that Sanford, 27, used and possessed a dietary supplement, which clearly indicated that it contained ostarine, from April 2016 through May 2016. Ostarine is a non-Specified Substance in the class of Anabolic Agents and is prohibited at all times under the USADA Protocol for Olympic and Paralympic Movement Testing, the United States Olympic Committee National Anti-Doping Policies, and the International Association of Athletics Federations Anti-Doping Rules, all of which have adopted the World Anti-Doping Code (the Code) and the World Anti-Doping Agency Prohibited List. Because Sanford had never been in the USADA Registered Testing Pool, had not received formal anti-doping education, and had based his decision to use the dietary supplement containing ostarine on the recommendation and assurances of his coach, Kenta Bell of the Thinking Feet Track Club, USADA determined that the appropriate period of ineligibility was two years. Sanford, however, was eligible for, and received, a one-year reduction to his two-year period of ineligibility based on his full cooperation and substantial assistance to USADA during its investigation. Sanford’s one-year period of ineligibility began on June 2, 2017, the date he began cooperating with USADA. In addition, Sanford has been disqualified from all competitive results obtained on and subsequent to April 1, 2016, the approximate date he first possessed a prohibited substance, including forfeiture of any medals, points and prizes. To date, Sanford is one of nine individuals affiliated with the Thinking Feet Track Club to have accepted a sanction during the course of USADA’s investigation.